Utuado is a municipality of Puerto Rico located in the central mountainous region of the island known as La Cordillera Central. It is located north of Adjuntas and Ponce; south of Hatillo and Arecibo; east of Lares; and west of Ciales and Jayuya. In land area it is the third-largest municipality in Puerto Rico (after Arecibo and Ponce). According to the 2000 US Census, the city has a population of 35,336 spread over 24 wards and Utuado Pueblo (the downtown area and the administrative center of the city). The name Utuado derives from the Taíno word Otoao, meaning "between mountains". The municipality is known as La Ciudad del Viví meaning "The City of the Viví", derived from the Viví River which runs through Utuado: one river branch comes from Adjuntas and the other from Jayuya. These two rivers then meet near the Fernando L. Ribas Dominicci Avenue and continue the journey to Lago Dos Bocas. 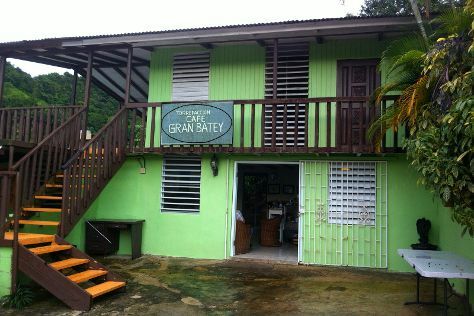 Utuado is in Puerto Rico. Plan your holiday in Utuado and other destinations, from the rural, to the urban, and everything in between, using our Puerto Rico online travel planner .